UK Themed Events is here to make your 70's night Groovy Baby!! It's time to get out your afro comb and platform shoes....here comes the excitement of the 70's, so let's boogie on down. 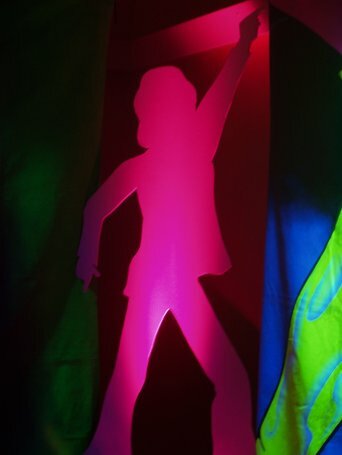 Let us fill your venue with colour and funk.. Our Theme Team can transform any venue to create a fantastic Disco Night, by using our creative props, entertainers and lighting effects. Package 1: Includes a 1970's Gold Discotheque which comes complete with a Disc Jockey and full sound and lighting rig, 16ft x 16ft Pixel dance floor with a 24" Mirror Ball over the centre of the dance floor. This package is suitable for up to 120 guests attending. Package 2: includes a 1970's Platinum Discotheque which comes complete with a Disc Jockey and full sound and lighting rig, 16ft x 16ft Pixel dance floor with a 24" Mirror Ball over the centre of the dance floor. This package is suitable up to around 120 - 200 guests attending. Package 3: Includes a 16ft x 16ft Pixel dance floor, 6mx3m 70's Backdrop complete with four up lighters, two 1970's life size 70's characters complete with two up lighters on each, up to a 10m long hot pink carpet with ropes and posts down both sides. Package 4: Includes 1970's themed package 3, Plus a Gold discotheque package. Why not add the Mirror Ball table centres with built in led's to light them up, when added to any of our theme packages.